Uberchic are back with new plates! There is another new collection (which I will be sharing with you very soon) and a new single plate - Woodland Chic. If you weren't aware, Brittany (the owner of Uberchic) had a little baby boy this and this plate is inspired by his nursery. How cute is that? I don't think that my manis necessarily match the traditional woodland look but I'm ok with that. It's good to do something a little different. We are having some quite chilly days at the moment (I'm dreading Winter already) so it inspired me to grab for some Autumnal polishes. For this mani I used Grace-full Nail Polish Mustard Been Love, Brick Your Heels and Under My Marsala. 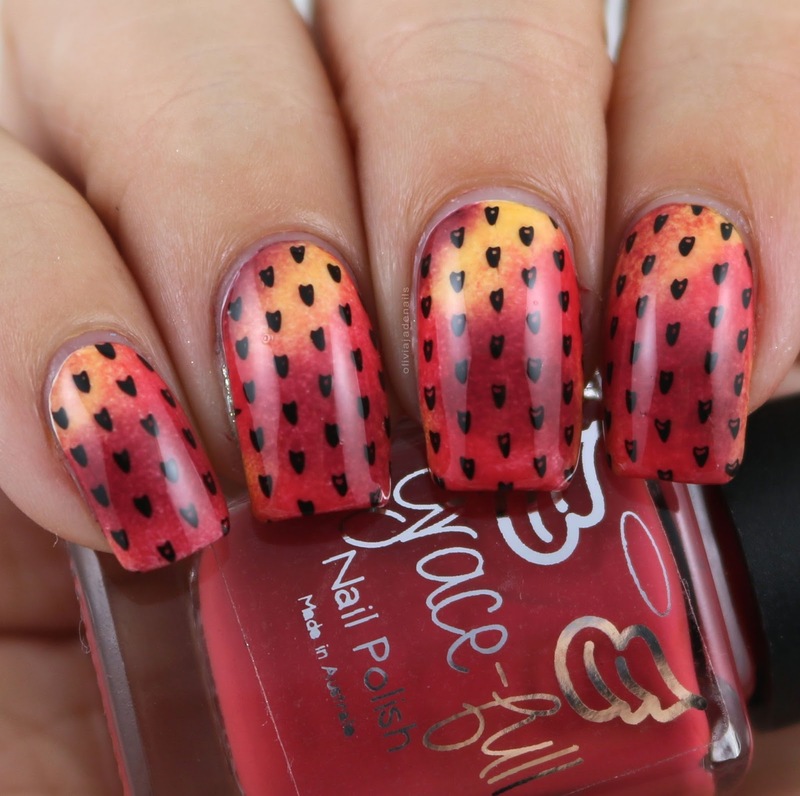 I love this next mani! 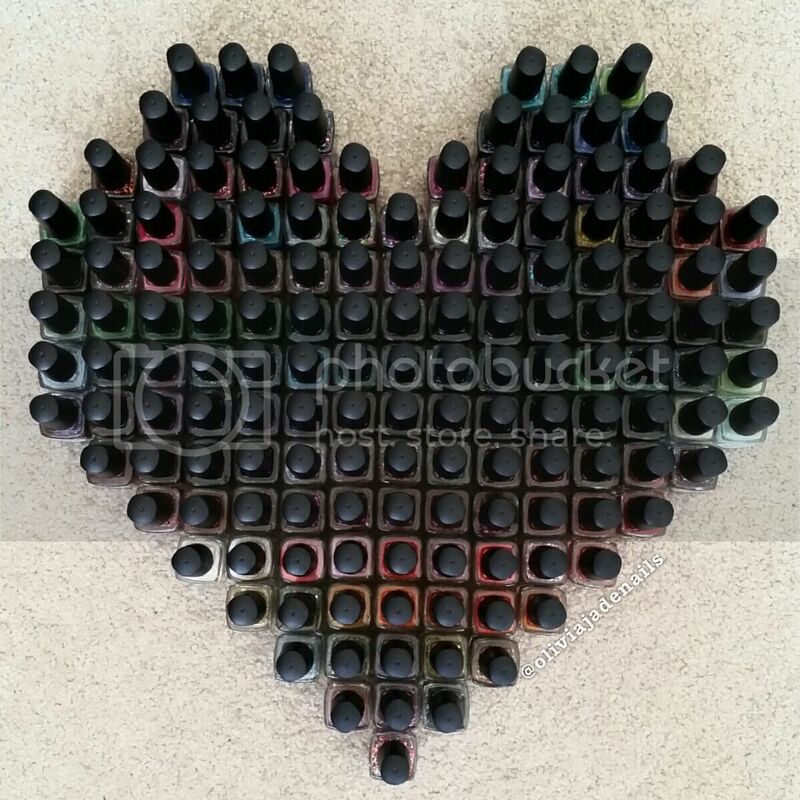 Polishes used are Dance Legend Ibiza, Color Club French Tips and Pretty Serious Cosmetics Absence. This stamping plate isn't really my personal style but it is perfect for those would love Woodland images. The images do stamp really well. 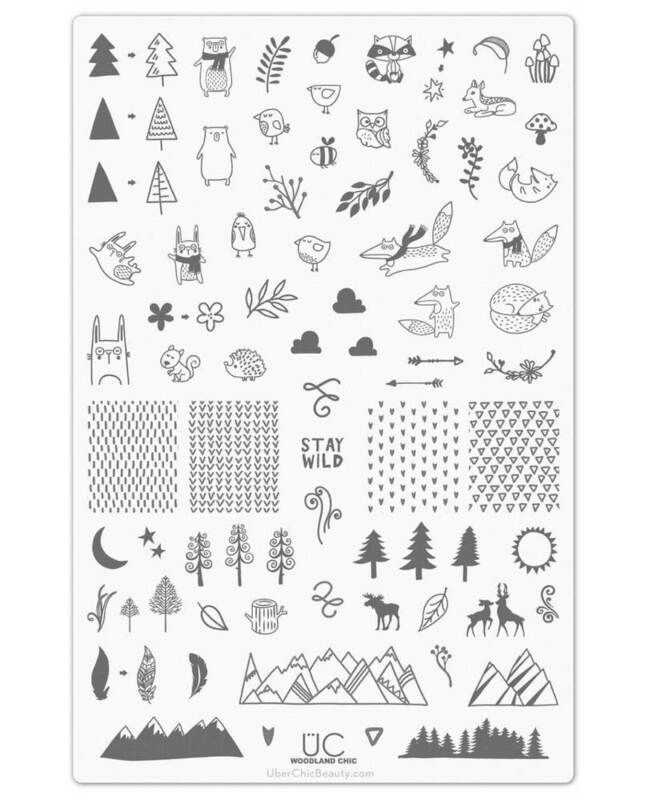 The Woodland Chic Stamping Plate is available now from Uberchic Beauty. It does have a lot of cute images doesn't it?